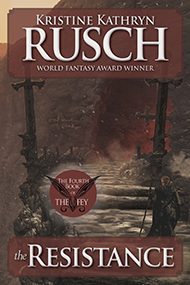 The Fey Saga | Their armies conquered half the world. Then came Blue Isle. With a sweeping scope reminiscent of George R.R. Martin’s Westeros and intricate characters like those in J.R.R. 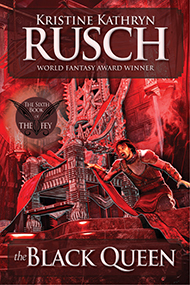 Tolkien’s Middle Earth, Kristine Kathryn Rusch’s Fey series takes fantasy in a whole new direction. When the most powerful ruling family in the world attempts to conquer a tiny, seemingly helpless island kingdom, they meet forces they never knew existed. In a fight spread over generations, this saga of hope and magic proves that the greatest power of all comes from love. Find out what's happening next on Blue Isle. 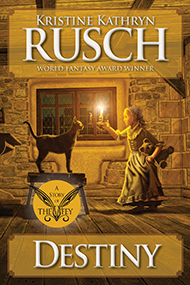 Written as a prequel to Kristine Kathryn Rusch’s popular Fey saga, “Destiny” follows the Shapeshifter Solanda on Nye. 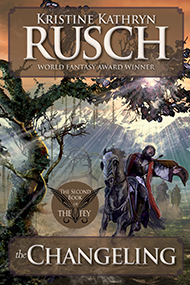 The Black King wants her to use her special abilities on a job that will change the Fey forever. But Solanda wants to change the life of one child. Can she do both? Or should she do nothing at all? 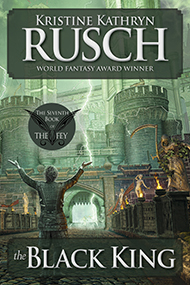 The Fey, known for their beauty and their warrior magic, have set their sights on Blue Isle. They should conquer the Isle quickly; its people, simple and religious, have never known war. 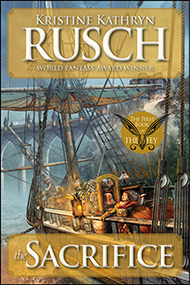 On the eve of the invasion, Jewel, the granddaughter of the Fey’s all-powerful Black King, has a frightening vision, one that ties her fate to the Isle forever. Still, she helps her father Rugar head the invasion force. The force meets a surprising resistance. Nicholas, heir to Blue Isle’s throne, has always dreamed of battle. Normally, he would be no match for the powerful Fey. 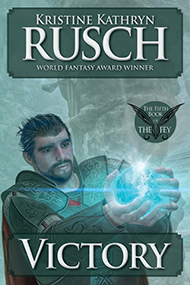 But Blue Isle has a secret weapon—a weapon no one understands, a weapon that could stop the Fey in their tracks. Nicholas must find a way to harness this amazing power. Jewel must find a way to thwart him. To survive, one of them must make the ultimate sacrifice. 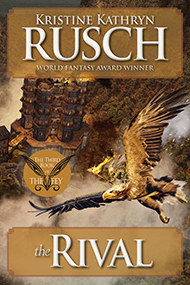 A fast-paced, vibrant novel, filled with memorable characters, Sacrifice begins a saga that will take readers to a richly imagined world, filled with magic, treachery, and unexpected love.